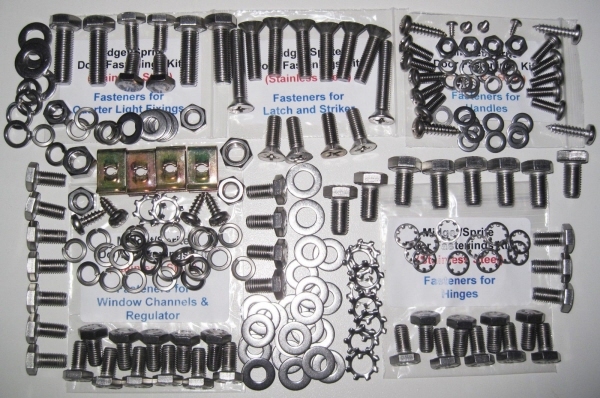 The Grove Components MG Midget/AH Sprite Door Refurbishment Kit contains all of the threaded fasteners and washers required to replace the standard fasteners in both N/S & O/S doors with Stainless Steel components. All contents and components for each functional section of the door (as listed above) are bagged and labelled separately. All items in the kit are A2 Stainless Steel or better except for 4 speed clips (spire nuts) which are zinc plated.